Immobilize your sub in your favorite position! 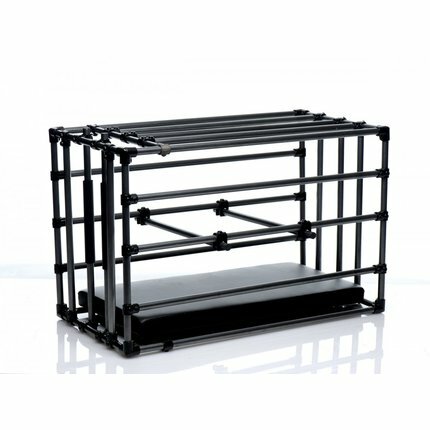 The Kennel is an adjustable cage with a padded board and optional positioning bars. 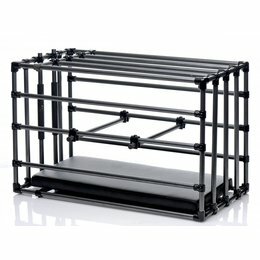 Lock up your plaything within the coated metal enclosure and get creative! 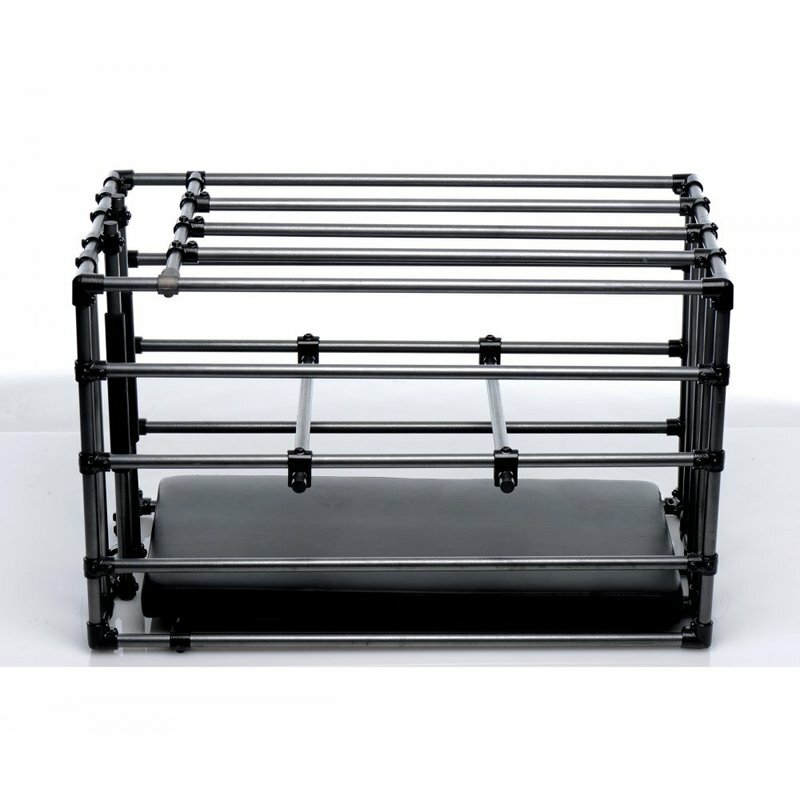 Leave in the comfortably padded leather-like board for extended role play sessions or remove it to punish a naughty pet. 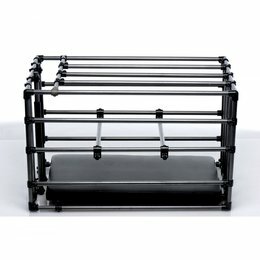 Positioning bars allow you to prop up their booty, feet, or chin, but you can also use them to keep their head, shoulders, and waist pushed down. Achieve the exact look that gets your blood pumping hardest! Attach their restraints, not included, to keep them in their place. 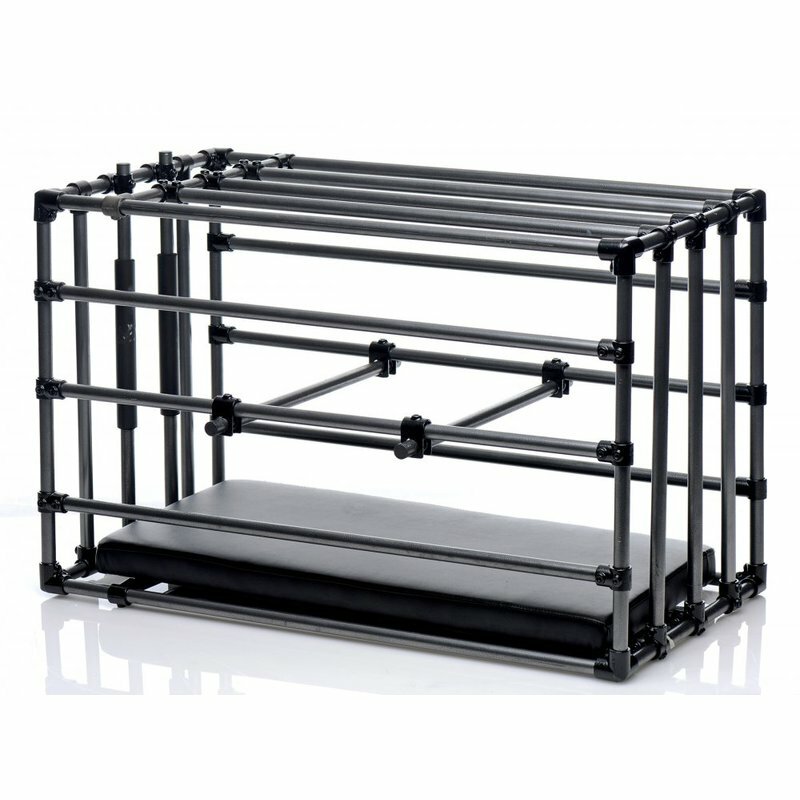 This versatile cage makes an excellent addition to your dungeon or bedroom, creating a striking image as soon as your partner lays eyes on it. Assembly instructions are included. Hinweis: Detaillierte Instruktionen beiliegend. Wird in zusammengelegt in einem kompakten Karton geliefert.